Moving, finding oneself, learning to adjust to a large family . . . these are just a few of the curveballs thrown into one Colorado ninth grader’s life in Seasons of Raina, the debut young adult novel by Milissa Nelson. A victim of bullying, Raina is sent to live with extended family in a small, rural town in Minnesota, quite the opposite of the metropolis that is Denver, where she hails from. Thrust into the life of a family of ten, Raina faces the crowding of eight cousins, the expectancy of a new school and new friends, yet a chance to discover herself. As it turns out, Raina is much stronger than she ever imagined. Sports, music and the adaptation to sharing rooms and problems with so many family members brings a surprising element of accepting change into Raina’s life. Seasons of Raina takes the reader on a warm, insightful journey into the struggling life of one young girl, who learns to balance the acceptance of herself, and the powerful effects that bullying can leave behind. Author Milissa Nelson offers You Read It Here First a glimpse into Raina’s world, as well as her own. Q: In Seasons of Raina, you explore the effects of bullying. Why did you choose this topic? A: I needed Raina to have a plausible reason for her to re-locate such a long distance from her parents. I wanted her to move in with a family that closely resembled mine, so that I could write about what it was like to grow up in a large family. I needed a convincing reason, and I chose bullying. I’ve lived in both Colorado and Minnesota and love both places. I just needed to get her to Minnesota where I had spent more of my youth growing up. In general, life is better when people treat each other kindly and I wanted to show it was possible. Q: Do you have a specific age range you are trying to reach with Seasons of Raina, considering it is a young adult novel? A: I am writing for the upper elementary and middle school audience mostly. The language in “Seasons of Raina” is family friendly. The cousins in my novel have an age range of 3 to 17, so there is someone for most everyone to identify with. I also tried to write it for the entire family to enjoy. It is my attempt at a 1970s era version of a Laura Ingalls Wilder novel. Q: You chose to write Raina into a large family rather than a small one. What governed your decision to create that particular dynamic for her? A: Being part of a large family is what I know. I am seventh and I meet very few other seventh children. I wanted to share what it was like to grow up with a larger than average family and the special uniqueness of that. I am extremely grateful for my family. Q: If you could come up with your own marketing pitch for Seasons of Raina, how would you draw readers in to purchase your book? A: It is a great chapter book for beginning readers who want to tackle a longer story. The family friendly wording allows for “Seasons of Raina” to be read aloud and enjoyed by all. It is a book about the bonds of family, the advantages of trying new things, and it also has both serious and funny moments. Q: Interestingly, your book takes place in the 1970’s. Modern trends are mentioned in the story that are quite common nowadays. Did your family participate in those things during your childhood? A: I set the story in the 70s, because that was the last time that my entire family lived under one roof and I wanted to include all of my siblings. The older ones started to leave to attend college in the late 70s. We did recycle way before it was convenient. We drove our newspapers, glass, food cans, and aluminum 25 miles to a recycling center where we dropped them off and sorted them into collection bins. We were taught that resources are finite and we needed to conserve them. We had several paper bags set up near our wastebasket to save the recyclables in, until we had enough to make a trip to the recycling center. We also composted food waste, leaves and grass from the lawn and dug it into our garden occasionally. Our garden was organic and we never treated our lawn or used weed killer. My parents did most of the work, but we pulled the weeds and used a tool designed to pull up the roots, and a push behind cultivator. Q: Give us a few of your favorite authors and why you enjoy their work. A: My favorite authors are Lucy Maud Montgomery, Laura Ingalls Wilder, Willa Cather, and Carol Ryrie Brink. I love how they could make ordinary everyday lives, interesting. They were great storytellers and I love re-reading their books, even today. Q: How was your own childhood similar or different to that of your young protagonist? A: Raina became a combination of many different people. The biggest thing that I share with her is that I moved in high school and experienced a lot of new situations and took part in new and different activities. I am grateful for that move because I grew in many ways and became much more adaptable. I also learned that home can be anywhere there are people that you love. Q: Did you find Raina easy to write? Describe her personality. A: Raina is quiet, but when comfortable, has things to say. It was fun to write her part because I could compare and contrast her situations from before, with her new reality. She has a sense of humor and is respectful of others. I also gave her a drive to get better at things. She is someone who will put in the time necessary to see improvement. Q: Bullying continues to grow into more and more of problem in today’s world. What advice would you give to children and teens about bullying? A: I would say to try and treat everyone as kindly and respectfully as you can. Practice being nice to others even when they are not kind to you and try to not react to a bully, but sometimes by calmly talking through the criticism they have thrown at you, you can diffuse the bully from escalating the situation. When the bully stops finding any fun in being a bully, they start to feel silly. A caution though, is that this is not always possible when there is a potentially dangerous situation and sometimes adult intervention is needed. Q: What hobbies do you enjoy in your spare time? A: I like to participate in sports. Because of the size of the school I attended, they did not cut those who wanted to participate, so I was allowed to play volleyball, basketball, and I ran for the track team. I had a lot of fun. To this day, I would much rather participate than watch. I also have played the trumpet since elementary school and have sung with my family since I was very small. Even as an adult, opportunities to participate in making music are plentiful. Q: When did you develop the desire to begin writing? A: I have always enjoyed writing and find it to be very relaxing. I took a creative writing class in college where I majored in music education and I enjoyed it a lot. Q: If you could jump into any piece of fiction out there today, which character would you like to be? A: I enjoy reading about Anne’s adventures in “Anne of Green Gables” and “Anne of Avonlea”. She is a very sincere girl, who has great intentions but somehow things don’t always go as hoped for. I love her fanciful use of language too and how she usually sees the good in things. 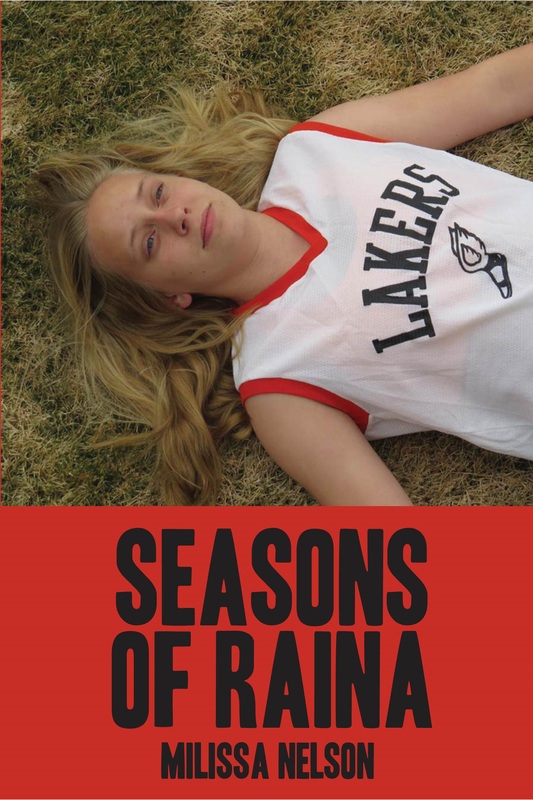 Seasons of Raina is available at North Star Press (http://www.northstarpress.com/products/seasons-of-raina) as well as on Amazon.